Over open flame, or under your broiler, char poblano and jalapeño until skin is blackened and blistering. Remove from heat and cover with a tea towel; allow to steam. Peel and halve onions. Remove skins from tomatillos and rinse well until no longer sticky. Place both, along with unpeeled garlic, into a heavy skillet (preferably cast iron) over medium high heat. Allow to roast until blistered and aromatic, removing any garlic cloves that begin to blacken. Peel garlic cloves after allowing to cool. Using the back of a knife, scrape skin from poblano and jalapeño. If desired, remove seeds and ribs. 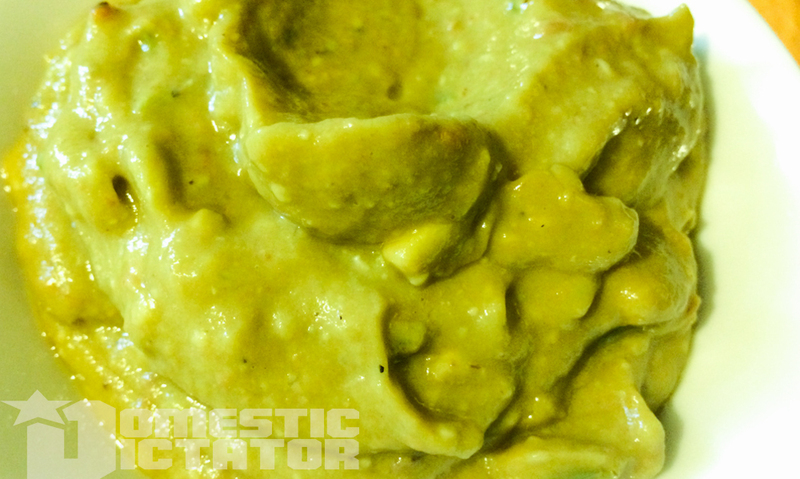 In food processor, combine avocados, peppers, onion, garlic, tomatillos, and yogurt. Zest 1 lime and add to bowl of food processor. Juice all limes and add to mixture. Process until mostly smooth – some chunks are not a bad thing. As with any salsa, this can be heavily modified for heat. Throw in more jalapeños to boost your heat, or add in extra avocado to make it even creamier. Remember that seeds and ribs are where much of the heat is, so simply keeping them in can make this sauce even hotter. Halve limes and char along with onions and garlic for an added, caramelized sweetness. Serve as a side dip, or atop your favorite tacos and other Latin American dishes.